plz tell me htc explore is good or bed ? nd how's the batter back up ? nd can we install app in sd card ? John , 03 Jan 2012is this phone upgradable to And 4. and is it support VOIP and sip calls .....???No. It' cannot b upgraded to Android4.0. As per the HTC's website, the phones having 512mb or less amount of internal memory cannot b upgraded. But still , this is really awesome mobile . In this fone internet is good or not? All app like uc browser,opera mini and skype are saporting goodly or not?All the android app is good ya not? 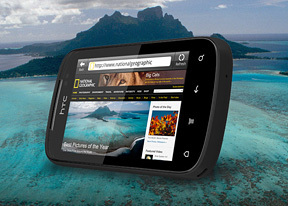 HTC explorer is best for It's price... I bought this phone yesterday,now I am haapy.